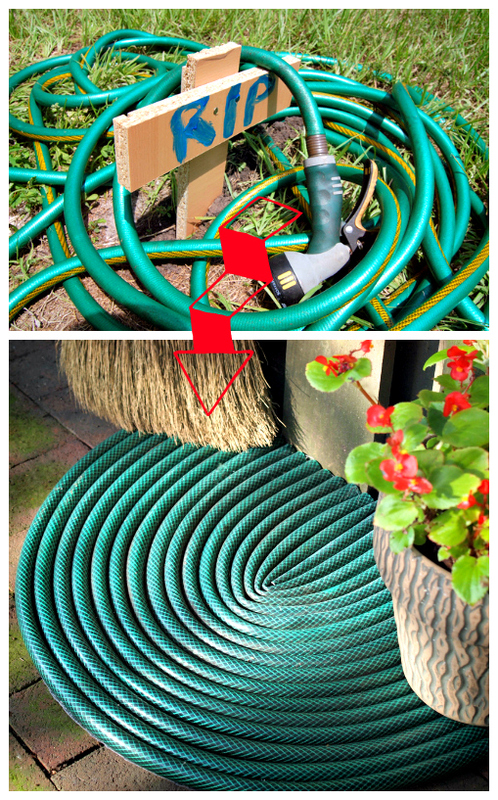 Repurpose: Welcome back your leaky garden hose! Surprising right? 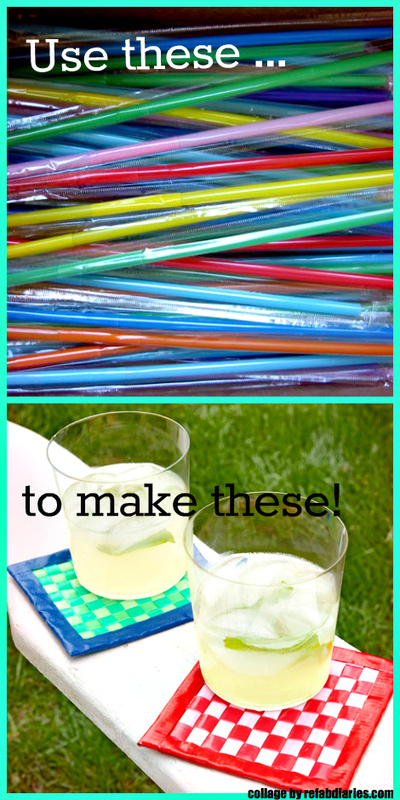 Weave drinking straws into drink coasters... really. Get the full how-to at Country Living. 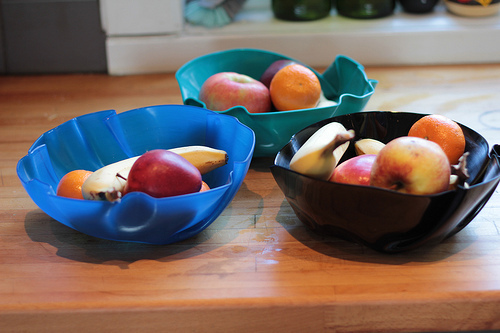 Upcycle: Serve up ... a plate stand! 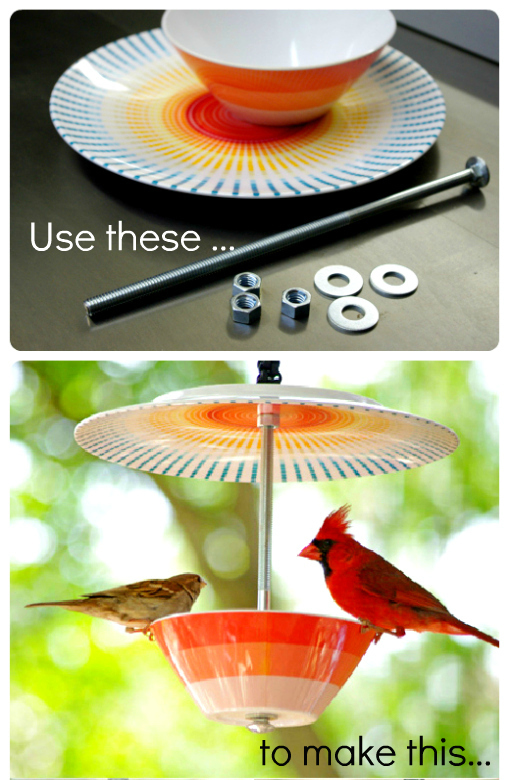 Earlier this week I featured a bird feeder created from plastic (melamine) dinnerware - it was a hit! So I'm stick with a theme for the last day of this week. 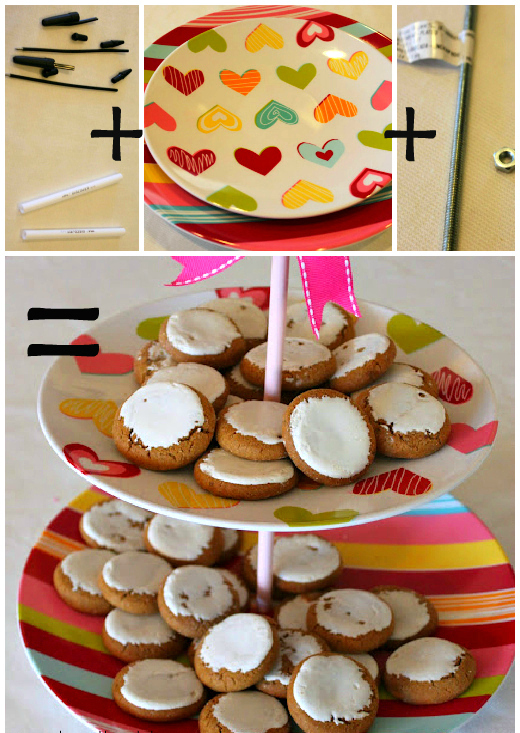 Not only does this little DIY include the dinnerware, but plastic pens too! Complete tutorial at Somewhat Simple. 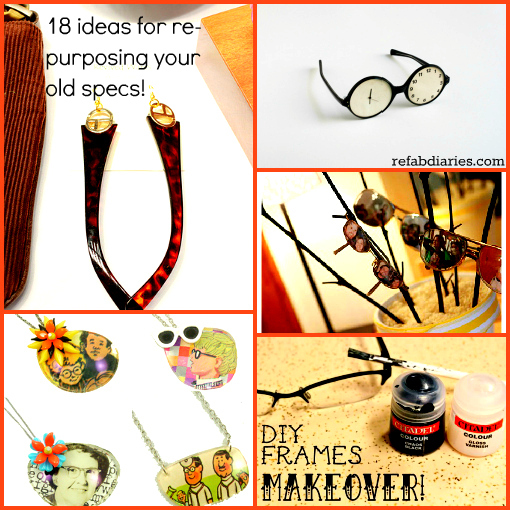 So ... you think you're crafty? 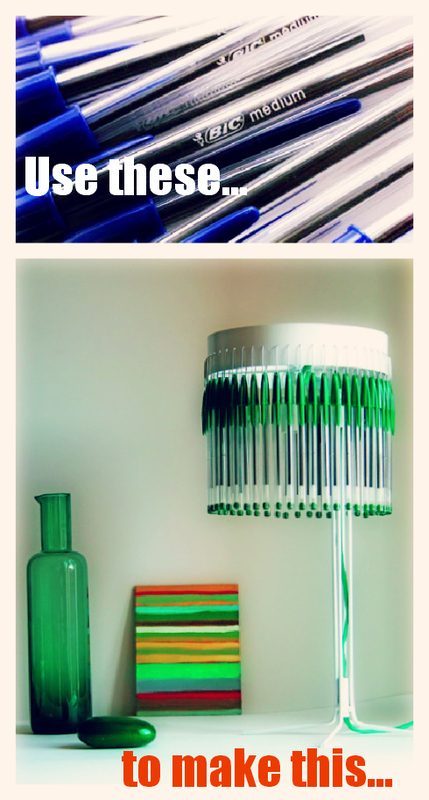 If you do, you should try out for So You Think You're Crafty! I spotted this birdfeeder in the season 12 audition round - not so surprised it took first place! 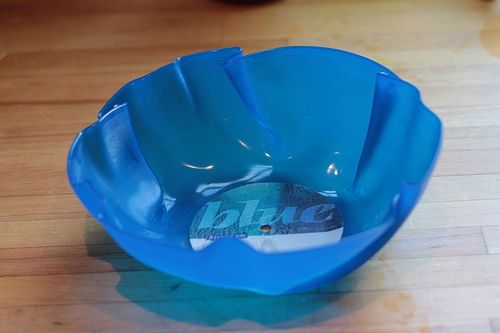 Complete tutorial here. 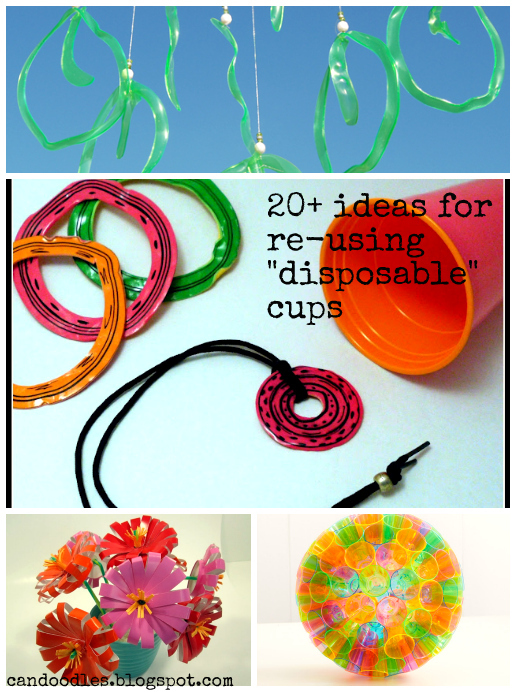 Repurpose: plastic bottles = summer upcycles! 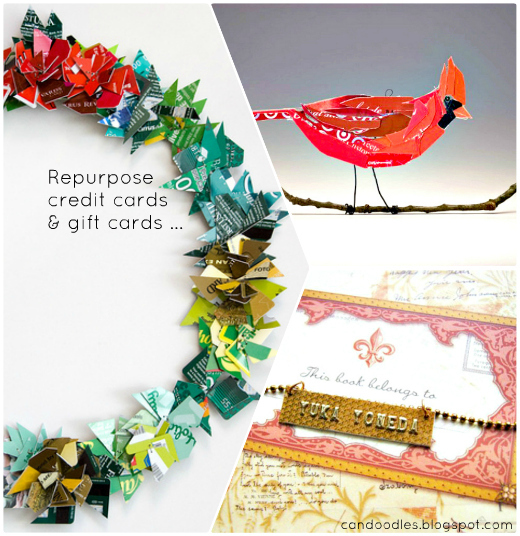 School might already be out for summer (in your part of the northern hemisphere) but bookmark/ Pin/somehow save these ideas for future teacher gifts. 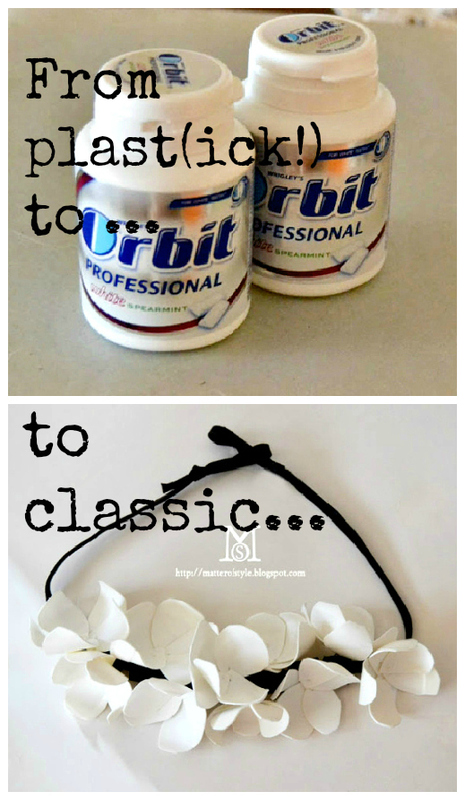 They're definitely fun summer craft ... with adult supervision of course. All three ideas are from Krokotak. Use Google's translator (if necessary) - it works well on this blog... which is a treasure trove of repurposing. 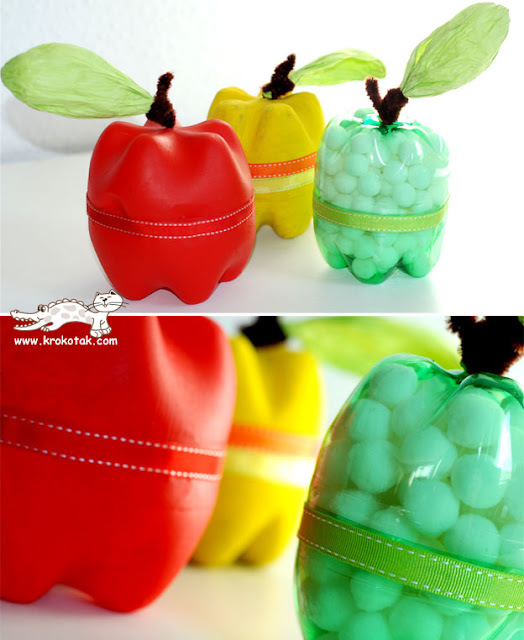 The apples pictured above are made from the bottoms of two small water bottles. 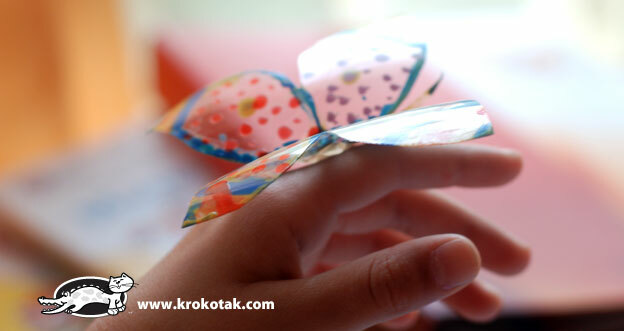 Plastic bottles and nail polish ... to make bootiful bottleflies! 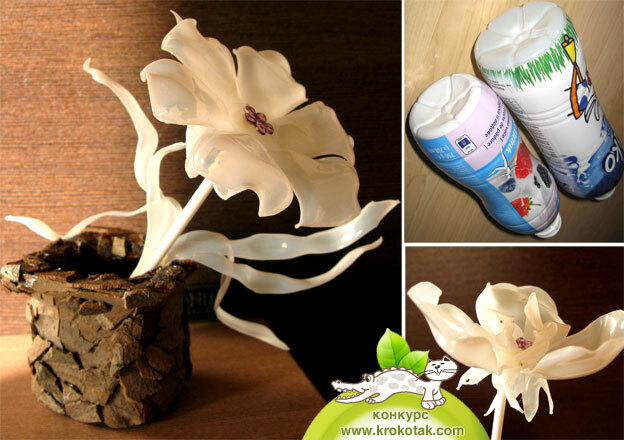 A whole gallery of incredible flowers made using bottles and a flame. Great video tutorial.